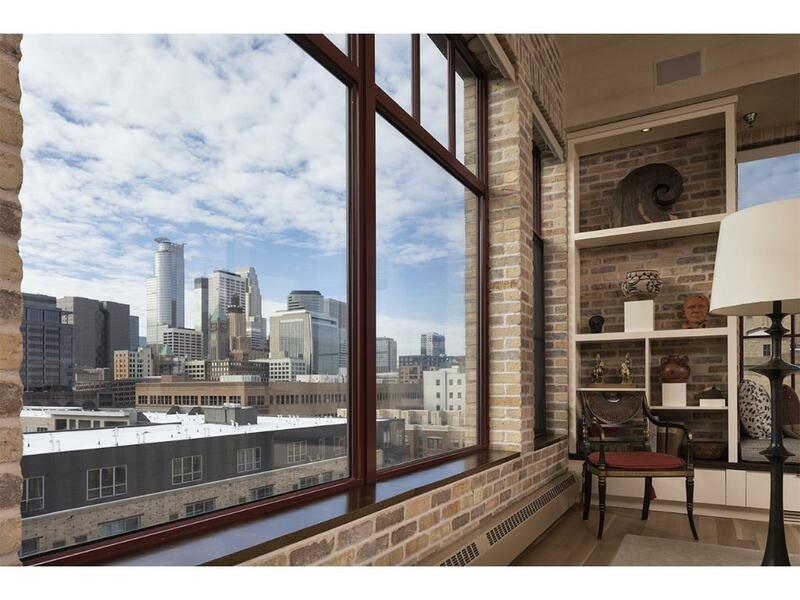 Exceptional Stone Arch penthouse with terrific natural light and great views. Features two bedrooms plus a den/media room, each with adjoining bath. Generous center island kitchen open to great room with fireplace. Master with 2nd fireplace. Main level balcony plus upper level study and kitchenette area open to expansive south and west facing roof terrace with both city and river views.